Job Ready showcases examples of how universities and businesses are working together to create a positive impact on the UK economy and create opportunities for UK students and graduates to develop their skills. Based upon extensive and in-depth interviews with other 50 employers including British Airways, IBM and Marks and Spencer, it captures a snapshot of the 21,000 interactions between businesses and University Alliance universities – the mission group to which Plymouth belongs – that are undertaken each year. Launched at the House of Commons, with Universities Minister the Rt Hon David Willetts MP a guest speaker, Job Ready highlights the impact that Plymouth students have had upon Agustawestland and vice versa. The helicopter company, which has bases in Somerset, Italy, Poland and the United States, takes a number of Plymouth students on year-long placements, providing four to six month stints in different areas of the business. David Webber, Business Development Manager for Agustawestland, said: “I expect students to come in highly motivated, energetic and with a very good core base of up-to-date skills in terms of technology, computing and presentation skills. I also expect them to come with an enquiring mind because all of those skills are immediately applicable to the roles we put them into. After this, it’s the task specific knowledge that we are looking to provide for them. We’re looking for self-starters really. 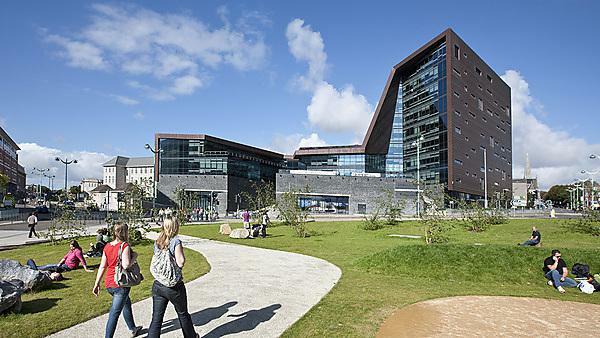 University of Plymouth provides more than 12,000 placements for its students on an annual basis across all of its faculties. It is one of a number of ways the University helps students develop work skills and graduate ready for their careers. Libby Hackett, Chief Executive of University Alliance, said: “At a time when most of the employment growth in the UK?is in graduate-level jobs, those involving analytical, problem solving and complex communications, it is important that we ensure universities are working closely with employers.